The engineers that design passenger tires always have to mix and match. Tires with great traction on dry roads must also provide sufficient traction for when the roads are wet. Tires with highly responsive cornering and breaking must also provide a reasonable tread life. Tire manufacturers routinely mix tread patterns, rubber compounds, and general tire architecture to create multi-talented tires. Then there are asymmetrical tires. 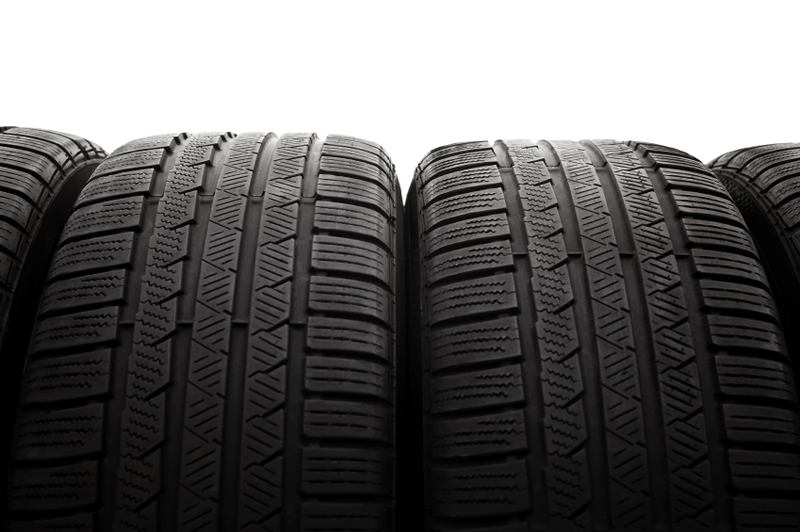 Instead of a pattern that repeats itself across the tread, these tires show several independent tread patterns on one tire, each pattern designed for a different function. The idea is that in some cases, putting the different tire aspects in their best places on a tire will enhance the tire’s overall handling and response. Asymmetrical tires are generally built to bring enhanced performance and handling to both wet and dry conditions. In the photo above, the tread on the right side of the asymmetrical tire contains large blocks, good for dry traction and cornering. Those blocks also keep the outside shoulder from increased heat accumulation. Next comes a section with small blocks, which enhance traction in wet weather and snow. The center tread provides stability at high speed and straight acceleration. Since each side of your asymmetrical tire is different, you must mount it with the correct side facing out. There will be instructions right on your sidewall, with words that say “This side out” or something similar. You can rotate your asymmetrical tires from front to back on the same side of the car, but not from one side to the other. Never mount both asymmetrical and symmetrical tires at the same time on your vehicle. The results can be dangerous. Mixing the two kinds of tires can make handling unbalanced and cause steering problems, especially on wet roads.